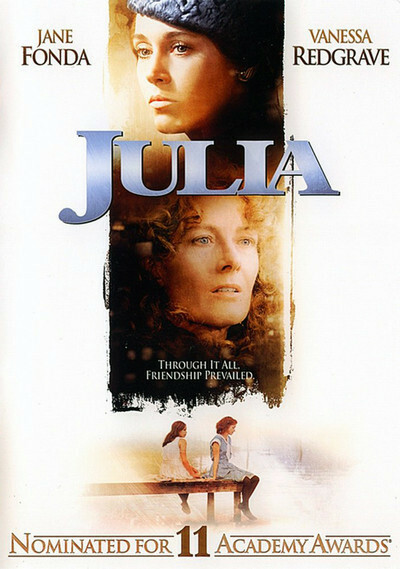 One of my favorite movies is Julia, the 1977 Jane Fonda-Vanessa Redgrave vehicle based on Lillian Hellman’s book Pentimento. In the movie, while Hellman (played by Fonda) is struggling with her writing career in the 1930s, Julia has moved to Europe to fight the growing power of the Nazis. 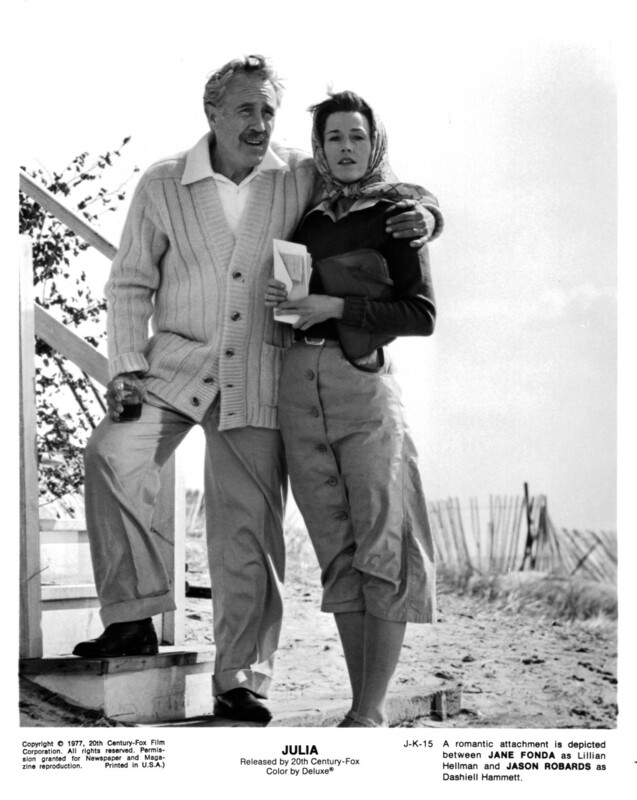 One of my favorite parts of the movie involves a conversation between Lillian Hellman and Dashiell Hammett (played by Jason Robards), the famous mystery writer who was her partner for decades. Hammett: Go to Spain. There may be a civil war in Spain. You’d help somebody win it. You’re scrappy. Hellman: I’m not scrappy. Don’t call me scrappy. You make me sound like a neighborhood bulldog. Hammett: You are the neighborhood bulldog, Lilly, except you’ve got some cockeyed dream about being a cocker spaniel. Since I’ve been writing books about women in American history, I think a lot about scrappy women. Scrappy is the most perfect word to describe the kinds of women I’m interested in writing about. Scrappy women are dogged and determined. Backed into a corner, they might be dangerous, but the fights they get involved in aren’t physical. Women like Ethel Thomas Herold, Margaret Utinsky, Mary Edwards Walker, and Dale Evans were all stubborn–persistent–and worked hard to get what they wanted from life and to make the world a better place (according to their own visions) while they were at it. They are fascinating women to research and write about. They are the kind of women I prefer to read about. So I’m wrapping up this year’s Women’s History Month by praising scrappy women and honoring their contributions. I’m looking forward to writing (and reading) more about them. In December 1976, Warner Brothers released the third film version of A Star is Born. This time the story was set in the world of rock music instead of Hollywood. The movie starred Kris Kristofferson as John Norman Howard, the rocker headed for a flame-out and Barbra Streisand as Esther Hoffman, the struggling songstress on her way up. Ahead of yet another music-industry based version due out later this year with Bradley Cooper and Lady Gaga, the 1976 film is now streaming on Netflix. The movie itself didn’t receive much critical acclaim when it was released. Roger Ebert gave it a reluctant two-and-a-half star review. He didn’t buy–not for a single minute–Streisand as a struggling singer, but he loved her voice. Movie-goers flocked to see it, though. A Star is Born grossed $80 million at the box office, which made it the third highest earner of 1976. The movie’s theme song, “Evergreen,” topped the pop charts, and won an Oscar for best original song. I watched the movie last night on Netflix, probably the first time I’ve seen it in 20 or 30 years. I saw the movie in the theater at least once when it came out, maybe more. I bought a cassette of the soundtrack, and I still have it (and play it). I’ve probably seen the movie on video, too. I’ve never been sure why I like the movie so much. I’d never been a huge fan of the music of Kristofferson or Streisand. I think it has much more to do with that particular time–the mid-1970s–and the movie roles Streisand chose. I’d enjoyed her foray into screwball comedies with What’s Up, Doc? and For Pete’s Sake. (Of course, there was The Way We Were, but I found the heavy drama annoying.) I liked Streisand’s quirky characters, the strong women who knew their own minds. As Esther Hoffman in A Star is Born, Barbra Streisand portrayed a very modern woman, talented and driven, who assumed she could have both a great career and a satisfying personal life. She didn’t intend to compromise on either. The best thing: she was totally confident in her abilities. She knew who she was, with or without John Norman Howard. Esther Hoffman personified the goals of 1970s feminism. During that decade, gender equality seemed achievable. The National Organization for Women, founded in 1966, provided support for challenging legal inequalities. Women’s liberation groups offered consciousness raising and other tools for addressing more personal concerns. And after decades of languishing in various congressional committees, the Equal Rights Amendment finally passed through both houses of Congress and was sent on to the states for ratification in 1972. By 1977, the year after A Star is Born was released, 35 of the required 38 states ratified it. And the truth is staring in your face. And notice Streisand’s wardrobe choice for that scene. The suit. The power suit. As more and more women headed into careers in the 1970s and 1980s, suits were their work uniforms of choice, signalling their insistence on an equal footing with men in the workplace. What A Star is Born signals to me, then, is all the promise of 1970s feminism. It was a heady time of possibilities for women, with gender equality within reach. I’m reminded of that each time I watch the movie, every time I hear one of its songs (well, maybe except for “Evergreen,” which quickly turns into an ear worm).